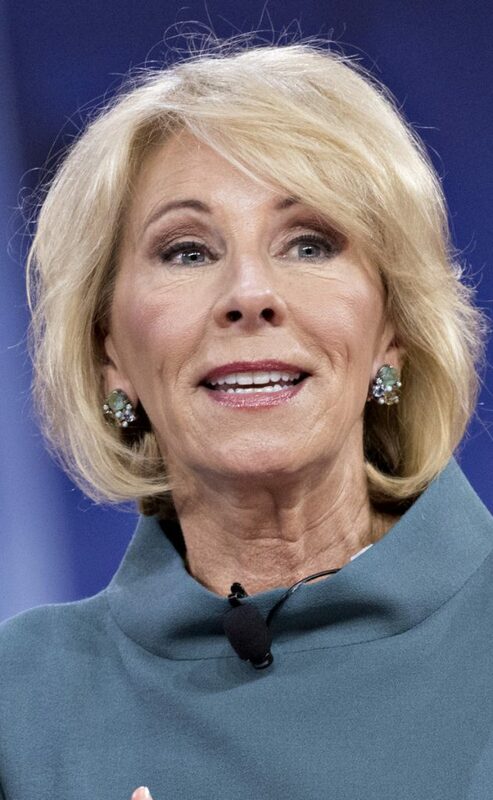 The Education Department is pondering whether to allow states to use money available through some grants to buy firearms. The conversation was sparked because the federal law that created the grants includes few constraints, the people familiar with the matter said. “Congress wrote a vague law and everyone is trying to figure out what it means,” one person said, adding that Congress should clarify its intentions and bar such purchases if it does not want to allow them. The person added that it is possible DeVos would take no action on this matter — not expressly permitting it nor advising against it. In that case, a state could try to force her hand by using its grant money for gun purchases and seeing if the department tries to block it. The grant program at issue is meant to be a flexible funding source for states to improve student academic achievement. Exact funding levels depend on annual appropriations but can amount to millions of dollars per state each year. JoAnn Bartoletti, executive director of the National Association of Secondary School Principals, condemned the use of the grant funds — called Title IV in federal education law — for firearms. Fred Guttenberg, whose daughter Jaime was killed at Marjory Stoneman Douglas High in Parkland, Fla., reacted angrily to the suggestion that federal education funds would be used to buy guns. During its public meetings, the commission has heard strong arguments both for and against more guns in schools. Trump has called for arming teachers as a way to harden schools and suggested paying them extra if they agree to carry weapons. “You give them a little bit of a bonus, so practically for free, you have now made the school into a hardened target,” he said in February.